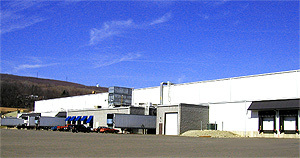 Gress Refrigerated Services & Logistics is a full service, family owned and operated, multi-temperature, humidity controlled warehousing and distribution company. All five buildings are located strategically in Scranton, PA. Our location allows us to reach large metropolitan areas throughout the northeast rather easily and economically. In addition, our rates are highly competitive, especially for volume storage commitments to suit any of your special programs and inventory requirements.